If you are in the NYC, chances are high that you have either visited or have at least heard about the Annual holiday market at Union Square or in Grand Central Station. These pop-up stores have a large number of shoppers looking for the best bargains to fill up their gift quota for Christmas. And that’s the reason why these pop-up stores have been generating annual revenues in the range of $45-$50 billion. Imagine the amount of traffic these stores can drive into their physical store if the buyers spot the right deals and offer at the right time! Well, thankfully we now have an in-store marketing technology that is cheap and provides amazing positive ROI even for SMEs – Beacons! When it comes to marketing for any business, there have always been many channels to get your message across and attract current and new customers. These ways have certainly evolved over the years. It started with town criers who shouted out offers, which eventually got replaced by pamphlets and newspapers, and later radio and television broadcasts. A decade ago, small businesses would set up a table displaying their wares and engage with passersby in the hopes of making a sale. Since then, the evolution of technology has widened the reach of SMEs and the quality of information sharing – Be it social media or business listing websites. With technologies advancing in this space, small and medium enterprise businesses have now shifted focus to something new and exciting – Proximity marketing with beacons. 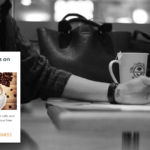 Small businesses such as coffee shops, stand-alone restaurants, retail stores and car dealerships have found enormous success with interesting and powerful beacon use cases. What are beacons? How do they function? Beacons are low-cost, low-powered transmitters equipped with Bluetooth Low Energy or BLE (also called Bluetooth 4.0 or Bluetooth Smart) that can be used to deliver proximity-based, context-aware messages. A beacon transmits signals which allow another device to determine its proximity to the broadcaster. In a store, a beacon lets a customer’s app determine that it’s close to a particular aisle, or in a particular department. 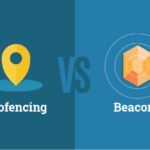 Why is beacon the best marketing strategy for small and medium businesses? Small and medium businesses have often been bashed by lack of financial power and hammered by online shopping. Why go to stores when deals and personalized shopping are found so easily online? But that game is now changing with the Beacon technology! The golden rule for any business to flourish is to understand and adapt your marketing strategy to what your customers are habituated with. Now here are few numbers you might want to look at – 84% of customers use their smartphone while shopping. So, for any small or medium-sized business, instead of spending dollars on Facebook and other social media campaigns, or printing in-store posters, take your chances using beacon technology – which is a more natural and convenient way of communication with the customers. With beacons, you can send instant notifications of any relevant information directly to a customer’s smartphone when they are near your location. The customer doesn’t have to do anything, they simply are doing what they normally do – using their phone for finding routes, offers online, information about a product etc. That’s when they get a message from you, promoting an exclusive offer or new item that they are interested in. Creating a powerful beacon campaign using Beaconstac is easy and quick. Learn how to do it. Beacons are a revolutionary way of competing with the large retailers. Typically, technologies like beacon are something only larger retailers could afford or at least that is what the perception is today. Your ability to use them helps level the playing field. The beacon transmitters are very inexpensive, retailing around $99 (cloud platform & hardware rolled into one). The cost associated with getting set up to use beacon technology is small compared to the potential for revenue it offers. Location-based technology allows businesses to learn more about their customers’ spending habits and send more targeted and customized messages. These messages get pushed directly to their smartphone, so they are guaranteed to see it, unlike a social media post, mailer, or mass email. There are few SMEs just like you, who have adopted the beacon technology to boost their sales and engagement. A Chinese quick service food outlet “Yummie House” automated check-ins on mobile phones using beacons. The beacon campaign increased the in-store engagement by 30%. For our London readers, you can check out the iBeacon experience at restaurants such as; Ping Pong, Spaghetti House, Villandry, Oxo Tower, Thai Square and STK London. The beacons are being used to send offers and menus to potential diners. London’s Regent Street shopping lane has announced plans to incorporate Beacons along its mile-long stretch of shops. Pop-up stores like Anthropology, along with 100 or so other shops, have begun installing iBeacons near their entrances in an effort to better engage shoppers and potential shoppers. Small and medium businesses face huge competition from their big-box counterparts as well as other main street businesses. 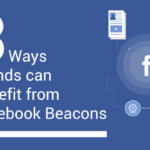 And Beacons can truly be the cutting edge marketing strategy for them, given how cost-effective it is and still gives the wide reach that other technologies can possibly give. SMBs looking to run proximity marketing without an app can turn to NFC and QR codes or a blend of all the 3 technologies to boost engagement and attract new customers. If you are planning to try out proximity marketing, take a look at Beaconstac, that includes everything you need to get started. Using Beaconstac you can set up your own campaign, without a developer’s help! Make your business alive! New Proximity marketing technology will tell everyone about you as they are in the proximity of your location directly using your mobile! How would this work in industries outside of retail? Say, companies that dont necessarily have a store front that they’re trying to attract customers. Instead, they perform services at customers locations? Such as a roofer, plumber, etc. ? Would it be possible to target a location after a storm for roofers? Or even target a new home development for certain services?